The Beas Kund trek is one of the most beautiful treks in Himachal Pradesh. It is suitable for beginners, has a short duration, and starts from Manali, making it convenient for those with only a few days. This is one of the most alluring treks in the Kullu region, winding along a river bank and offering panoramic views of the Pir Panjal range. It is an easy to moderate grade trek that is suitable for amateurs and people of all age groups. No prior trekking experience is required. 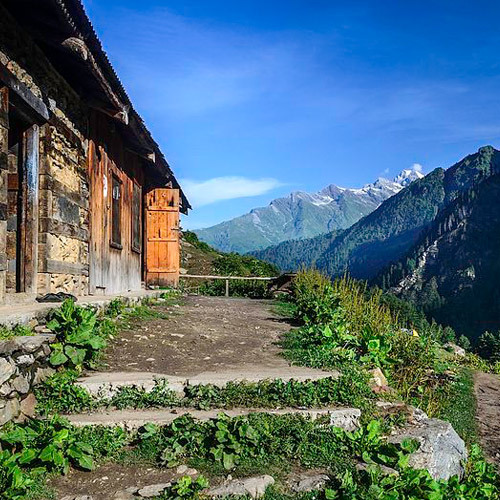 This short trek begins and ends in Manali, so can be done over a weekend. 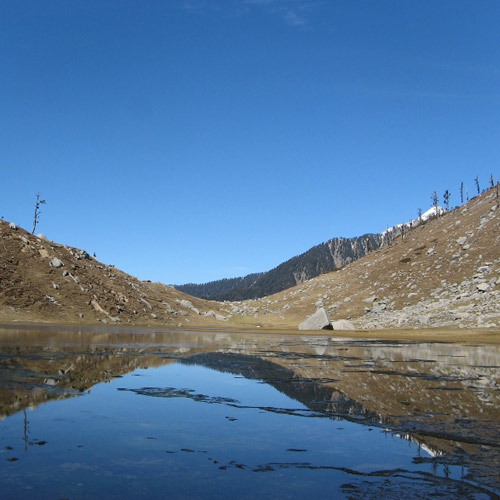 Beas Kund is a mountain lake that is the source of the Beas river. The lake is named after the Rishi Vyas, the author of the Mahabharatha, who is said to have visited the lake to bathe, and is therefore considered to be sacred. It lies in the middle of a vast serene meadow, from where you can see spectacular views of the nearby Shitidhar, Ladakhi, Friendship and Hanuman Tibba peaks. If you’re looking for snow treks, the Beas Kund trek is a great option, especially for beginners. 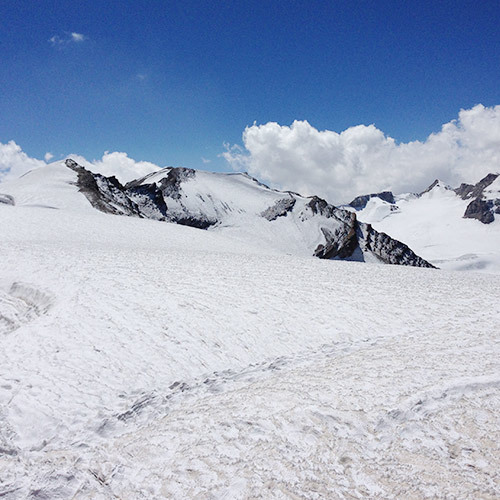 Find other Easy Snow Treks for Beginners. The Beaskund trek takes you away from the hustle and bustle of Manali in just a short drive. You’ll drive through the Solang Valley, and begin the trek from Dhundi. You’ll trek along the river, through the lush meadows of Dhundi and Bakarthach. As you climb higher, the greenery changes to a rocky landscape, and you’ll see towering peaks with their snowy caps around you. The high altitude meadows are often dotted with flocks of woolly sheep, and you’ll usually find a friendly shepherd willing to make tea for you. 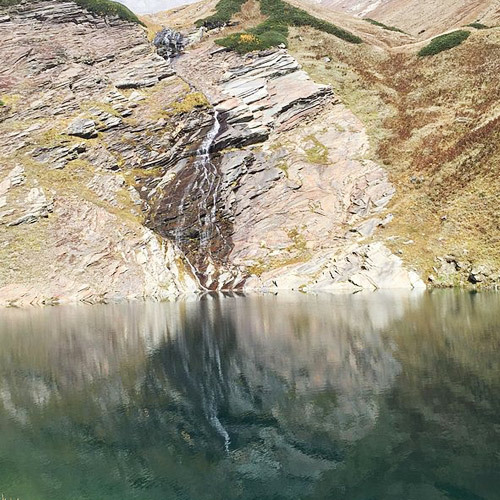 The highlight of the trek, however, is the emerald-green Beas Kund lake, with its quiet beauty and cold temperature. 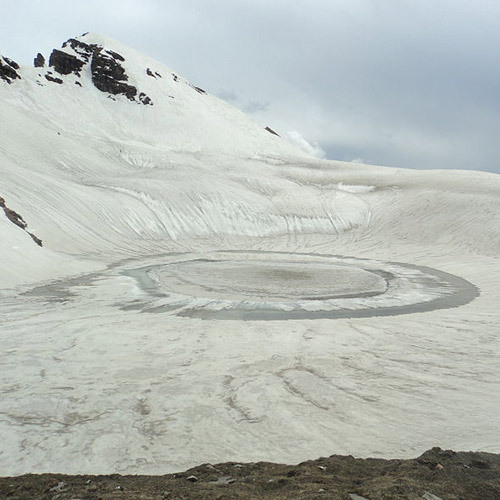 Beas Kund is a pleasant summer or spring trek. From the months of May to October, the snow has melted, leaving behind a carpet of green, dotted with wildflowers. The skies are clear, and the days are chilly, with cold nights. However, many trekkers like to go in the winter, when this trek takes you into snowy terrain and offers a short snow trek experience. If you’re looking for treks around Manali, you might also be interested in other treks in Kullu. The trek to Beaskund is a 4 day trek that takes you to the glacial lake of Beas, with views of surrounding peaks such as Shitidhar and Friendship Peak in the Kullu region. You'll trek past slow avalanches rumbling in the distance, through wide open valleys between peaks, where mountain streams dot the landscape, up to grazing meadows where shepherds bring their flock to graze on the sweet grass. You'll also witness hanging glaciers and camp out in the wild. But the emerald-green Beaskund is the highlight of this trip, with its serene environs and open skies above. The Beaskund trek is an easy grade adventure, suitable for beginners, but is also good for experienced trekkers looking to gain altitude in a day's trek. This 3-day trek to Beaskund takes you into the wilderness of Himachal, up to an elevation of 12,500 feet, to the pristine lake, the source of the Beas river. 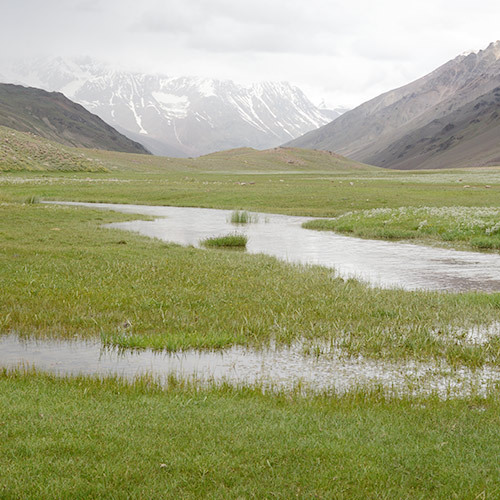 You'll trek through open meadows under Himalayan skies, scramble over rocks and boulders, and hop over narrow streams. During the day you'll hike through this gorgeous landscape, and when it grows dark, you'll gather around a crackling bonfire for a hot cup of soup, before retiring to alpine tents for the night. This trek to Beas Kund is short but impactful in every way. Right from the views it offers, to the trail it encompasses; you'll find yourself in the midst of some of the most beautiful terrains you've ever passed through. You'll cross sprawling meadows, camp at spots with views of the slope and the valleys you've just negotiated, and walk through oak and maple forests. The lake itself is stunning, with cold glacial waters and silence all around. You'll be able to see the majestic Deo Tibba and Indrasan peaks amongst many others. This short 4 days trek takes you from Manali, into the lower hills of the Himalayas, to the source of the River Beas, the Beas Kund. This green lake is named after Rishi Byas, who was said to have meditated and bathed here. When you reach the lake, you'll feel rather meditative yourself. You'll be surrounded by silence, except for the distant rumbling of rocks moving in the mountains. This is an easy trek, and it takes you to an altitude of about 12,000 feet. 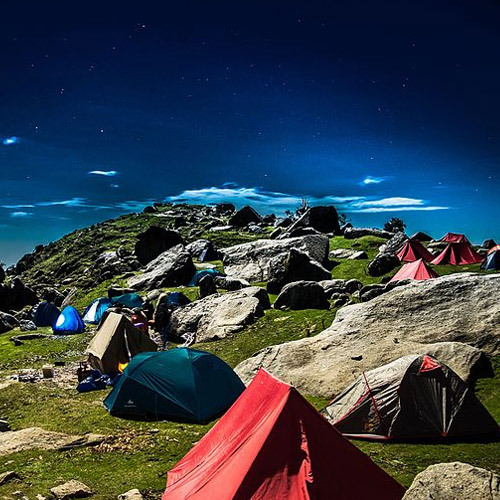 This 3-day Beaskund trek is one of the most sought-after treks in the Himachal region, because it is easy, starts close to Manali, and takes you up to a gorgeous glacial lake in the middle of the mountains. The lake is the spot from where the Beas river originates, and is said to be the spot where the Rishi Beas visited to bathe and meditate. On this trek, you'll walk past rumbling glaciers, through meadows dotted with wildflowers, and up to a crescent-shaped area surrounded by mountains. 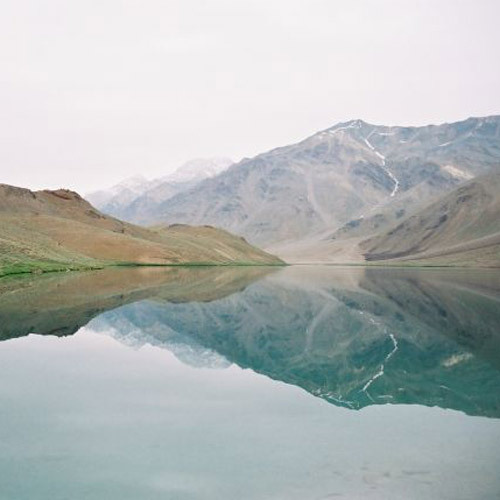 A high altitude glacial lake located in the Dhauladhar range of the mighty Himalayas. 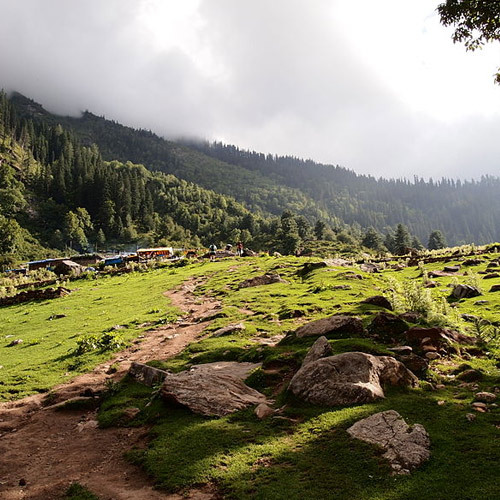 An easy trek on the wildflower-dotted green slopes of Himachal. Camping with views of a valley filled with mist. Drinking your morning cuppa with views of glaciers and snow-capped peaks. What more could one could ask for? This trek to Beaskund is a wonderful opportunity to do an easy trek close to Manali, and see some of the prettiest landscape you've seen. Any expenses that arise due to change in itinerary due to natural calamities. Accommodation for one night before and after the trek in the operator's campsite near Manali. Costs INR 650 per person per night for tent stay on twin or triple sharing, bonfire, 3 meals, unlimited tea and coffee. Is the Beas Kund trek suitable for beginners? The Beas Kund trek is an easy trek that is suitable for beginners. In the winter, the snowy terrain makes it moderately more challenging, but fit beginners will be able to handle it. An added advantage is that it begins from Manali, which makes it very easy to get to. What should I carry for the Beas Kund trek? 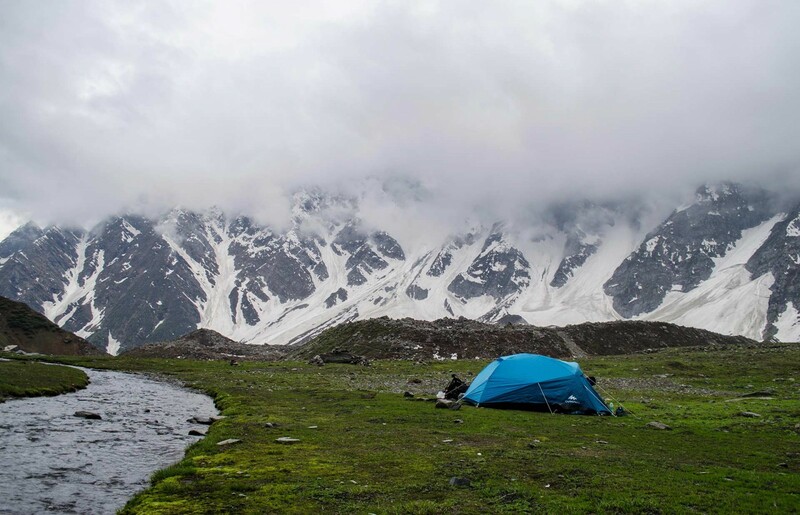 Your operator will provide you with a comprehensive packing list for your Beas Kund trek. Do make sure you carry sunscreen even in winter, as well as rain covers for your backpack and day pack. What is the season for the Beas Kund trek? The peak season for the Beas Kund trek is usually from April or May onwards, when trekkers head into the mountains to escape the heat. The weather is usually chilly in the day, but the nights can get cold. However, if you’re looking for an easy winter trek or planning your first snow trek, this is a great option.